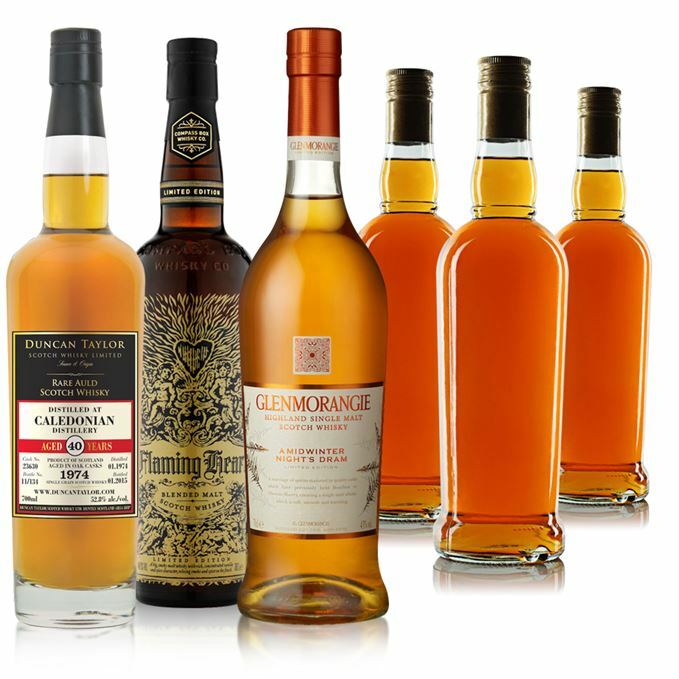 Four indie alternatives to this year’s Special Releases here – Caledonian, Dailuaine and a pair of Caol Ilas – alongside a seasonal Glenmorangie offering and a blended malt from Compass Box that also includes three Special Release malts – Caol Ila, Clynelish and Dailuaine – in the mix. Fat, creamy and buttery to start, there is also a highly wooded, amber-like, Bourbon-esque element from the beginning. Then the fat distillate (think of a mega banana split) comes through. Heady in time, with some frying butter. This is vast. With water, light char and robust grain. Highly concentrated, with a previously hidden fennel seed aroma and, though it’s hot, the grain adds a slippery quality, while the American oak remains quite prominent. With water there’s some chocolate, more sweet spice and anise. It also calms down the Bourbon notes. Waiting in the rain for a bus. Then two come along at the same time. A hint of meatiness and a cereal note that comes disguised as a cross between gravy browning and cattle feed. There’s some sweetness providing balance. Water makes it a little more plain. A big and slightly sulphury start, but that’s no bad thing. It then shows sweetness in the centre alongside some hazelnut before we head back to the roasting tin. All the elements are fine on their own, but need to be better linked. Becomes more farmyardy with water. Still has clear distillery character. A rock-solid Dailuaine which, while not in the same league as the Special Release, is worth a gander. Sunday roast dinner, the scent of Bisto leaking out of the kitchen. Big, sweet, in fact almost liqueur-like to start with. There’s masses of stewing orange, light clove, dark mint chocolate and even a little whiff of Black Forest gâteau. In time the sweeter, fruitier, Sherried elements become all-enveloping. There’s a suggestion of Tokaji wine in here and everything begins to become slightly more scented, with a little allspice and more identifiably ‘Morangie soft fruits – apricot, especially, and a tightening of oak. Maybe not the most complex Glenmo’, but it’s big, it’s fat, it’s fun. Exclusive to Sainsbury’s and, at £40, this is a steal. The score (how I hate numbers!) reflects this. ‘A Winter’s Tale’, surely, he says – exiting pursued by a bear. Massive, with plenty of smoky bacon to kick off with, then comes a little maltiness before things settle down to cardamom, (Scots) pine sap, cedar and, with water, cold Darjeeling tea. Very soft, sweet and rounded with less overt smoke than the nose indicates. A deep and spicy mid-palate gives chocolate orange flavours. A fair impact from rich, sweet/spicy wood, which needs a rich spirit base to balance. Drier, and smokier, with water. 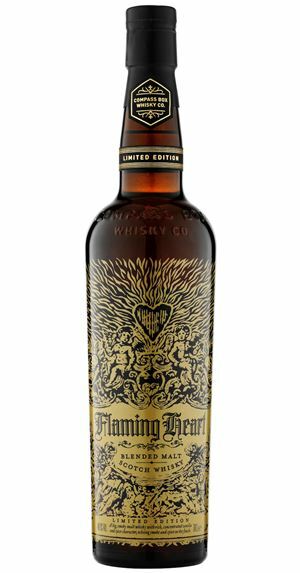 A limited run reintroduced to celebrate Compass Box’s 15th anniversary. Savour it slowly. Late night, red shaded light, joss sticks, psychedelic music on the record player. Fresh and quite light, with light marine notes, lots of pear, light lemon with a saline/mineral quality, hedge clippings – the sweet/dusty smell of privet – then, with water, more ointment. Clean. Again, mineral which pushes back against some pretty sweet development in the mid-palate before the smoke begins to build. Water brings out more of a dentist’s surgery note. Good, clean feel and, while it might not be immensely complex, it’s balanced and hugely drinkable – so do. More oxidative than the 2000 and also more oily. The sense of a generous base spirit given long maturation in a relaxed cask. Touches of Plasticine, soggy sheep, a green herbal element, then a hint of the sea. Very soft, with quite a long, slow mouthfeel. The smoke is well-integrated. Water, strangely, doesn’t help enormously. 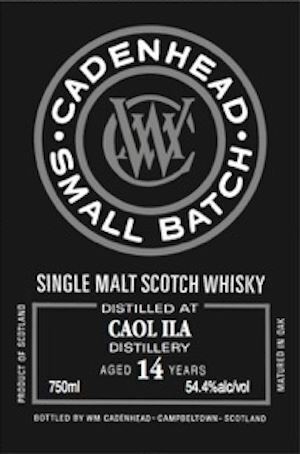 An excellent, mature, oily Caol Ila, the Ms Consistent of Islay. A shoreline walk, munching on samphire.